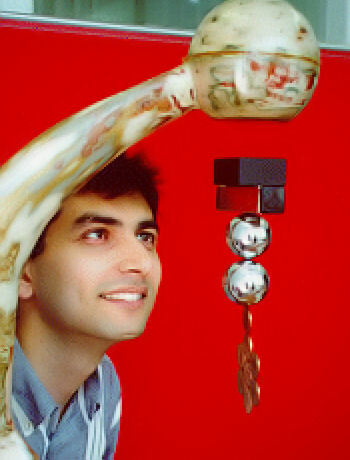 The world's best levitation device was designed by Dr. Shirazee of Cardiff, Wales. Dr. Shirazee is currently the Research Director of Electronica Products Ltd in Cardiff, formed in 1999 to create custom printed circuit boards. But would you be surprised to hear they also have a new design for high-torque variable-speed electric motors? 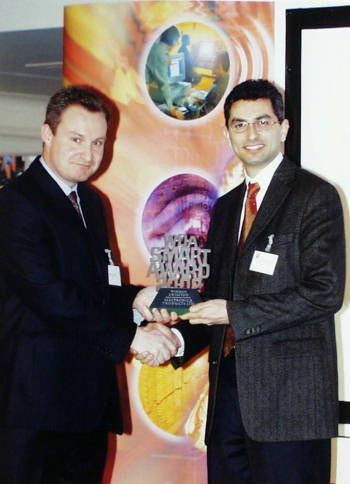 He is shown at right in 2003 receiving an award from the Welsh Development Agency for his work on electric motors. He took his first degree in Electrical & Electronic Engineering at Leicester University and then moved to Cardiff University where he obtained his MSc and PhD in Electrical & Electromagnetic Engineering.